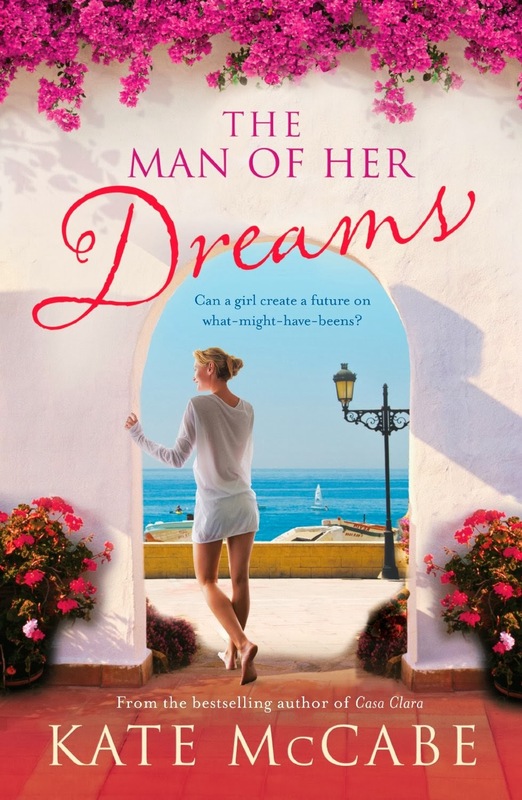 Today, we are featuring The Man of Her Dreams by Kate McCabe. Thanks to IPG, we have one copy to share with a lucky US reader! Can a girl create a future on what-might-have-beens? Some jealous people muttered that Piper had been born with a silver spoon in her mouth. Usually they said it behind her back, never to her face, for Piper didn’t take criticism lightly. Her father was Henry McKenzie, a self-made man with a personal fortune of at least €50 million earned from his hotel empire, which he had built up from nothing in the space of thirty years. The family lived in a magnificent mansion on Howth Head, with stunning views over Dublin Bay. Henry kept a vintage Mercedes Benz in the garage, a yacht in the marina, and a holiday villa in Nice on the French Riviera. It was meant to be a retreat where he could get away from the pressures of business, but he worked so hard that he rarely found time to use it. Henry and his wife, Rose, were not aristocrats. They were humble people who had never forgotten the hardship and poverty of the small farms where they had been reared in the west of Ireland. They knew the value of hard work and had tried to instill that understanding in their children, Piper and her older brother Jack. The pair had been sent to private schools because Rose, in particular, had placed a high value on the benefits of a good education. Sadly, Jack had shown little talent for study. He was a lackadaisical student with more interest in sport than books and dropped out of school at the first opportunity. He now worked as a manager in one of the family’s hotels and played rugby in his spare time for the local club, Suttonians. Piper was different. She was the clever child, who had studied hard and passed her Leaving Certificate exams with distinction, gaining enough points to secure a place on almost any university course she wanted. Instead, she had chosen to study hotel management, and now worked closely with her father, helping him to run the business. But her good fortune didn’t stop with wealth and intelligence. She had also been blessed with good looks. By the age of eighteen when she had left adolescence behind, she stood five feet seven inches tall, with a trim figure, long, slender legs, blue eyes, blonde hair and the face of a Botticelli angel. Of course, she had men beating down the doors to woo her. But Piper had an opinion of her own self-worth and wasn’t about to throw herself away on the first smooth-tongued Romeo who crossed her path. She had dozens of boyfriends, but they didn’t hold her attention after a few weeks, she discarded them, like cast-off handbags. By the time she was twenty-two, many of her friends were secretly whispering that Piper would never marry. She had set the bar too high. No mortal man could ever match her expectations. Then she ran into Charlie White. Kate McCabe is a popular Irish romance writer whose books include The Book Club and Magnolia Park. Thanks again to IPG for sharing this book with our readers. Please tell us one trait the man of your dreams must have (or already has, if you've found him). Please include your e-mail address or a way to reach you if you win. Entries without contact info will NOT be counted. US only. Giveaway ends December 8th at midnight EST. I haven't met the man of my dreams yet, but I'm looking for a man of integrity. That's a quality I'm having a hard tine finding these days. I'm no longer looking but fidelity would be important to me since I didn't have it in past marriages. The man of my dreams must have a good sense of humor! The man of my dreams ( my husband ) has a wonderful sense of humor and is a very patient man. Integrity is important, and I have found that in my husband--I'm very fortunate to have found him. I love the cover of this book. It looks like the vacation of my dreams. The man of my dreams has to love cats. He also has to put up with my crazy cat lady ways. Love is important to me. He must have extreme tolerance...of different points of views, religion, politics, etc. The ability to make me laugh! Man of my dreams has to have honesty with a sense of humor. Thanks to IPG for sharing the book with our winner. Thank you! I look forward to reading The Man of Her Dreams. i think the biggest would be honesty if i cant trust him what else is their?